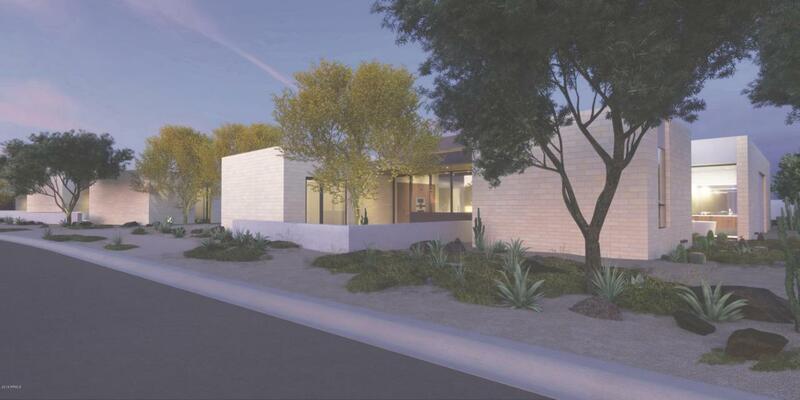 Palo Verde Lane: 7 NEW homes in gated desert setting. ''Lock and Leave'' living meets ''right-sized'' luxury, all on one level. 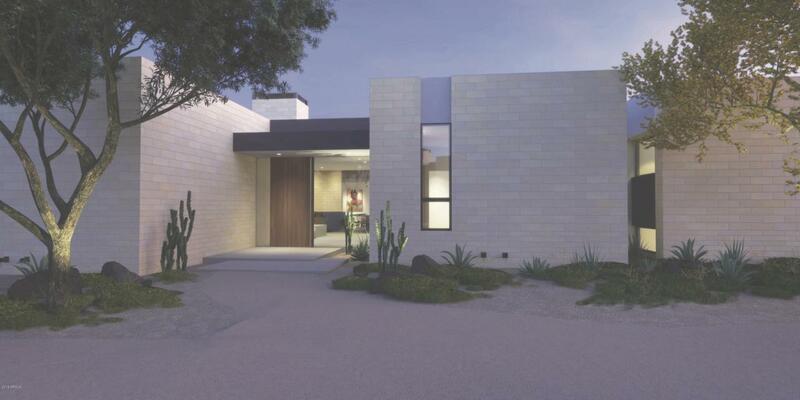 Elegant simplicity: Desert Modern organic design: stone, wood, glass, indoor/outdoor living! Dramatic entry, great room w/12ft wood ceiling, master suite a sanctuary. Classic proportions and materials: top-end kitchen, polished concrete floors, AZ sandstone walls, walnut cabinets, elegant appointments, all Standard! Awesome location at the intersection of Scottsdale/Paradise Valley, walk, bike to restaurants/shops! Pre-packaged luxury construction: complete, curated home, timeless materials and quality build. Under construction/delivery 2019. Must use Developer contract w/cash or ''one-time close'' loan. Now selling. Sale subject to Buyer review ADRE Public ReportWOW! 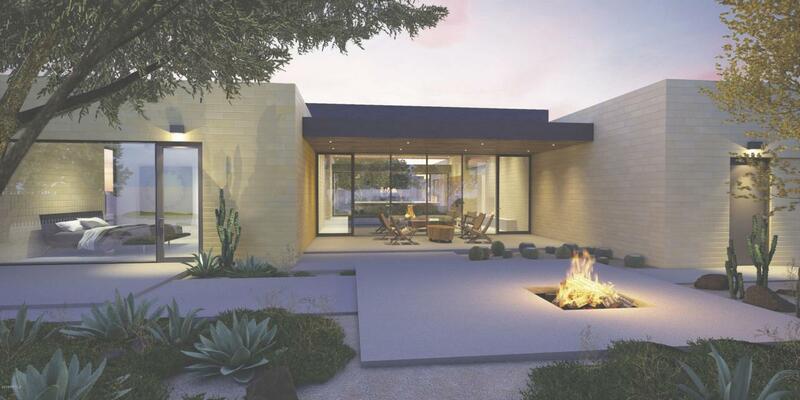 This new home community by local architect Scott Roeder offers desert modern architecture paired with elegant simplicity. Gracious entry space gives way to expanse, which leads to private sanctuary. Classic proportion, enduring materials and visual clarity create an engaging sense of place. Interior meets exterior living. Conveniently located at the intersection of Scottsdale and Paradise Valley. Nestled among well-established neighborhoods,just north of downtown Scottsdale,and east of Paradise Valley,Palo Verde Lane is like no other community in the greater Phoenix area. While the architecture is modern,the homes manifest the enduring characteristics of the materials used to create them: the warmth of wood, the permanence of masonry, and the openness of glass. Though only a stroll from upscale restaurants and shops, Palo Verde Lane honors its desert heritage. From its very inception, the community has been designed to harmonize with the environment and cultivate neighborliness among its residents. Unlike most other gated communities, Palo Verde Lane is not hidden from view behind barriers that interrupt, and become, the scenery. Nor are there walls to segregate the individual properties within. The landscaping and security structures surrounding the community work in unison to provide privacy, yet promote visual flow. Palo Verde Lane has been carefully choreographed to achieve the ideal integration of aesthetics and function, interior and exterior spaces, privacy and transparency. Live among neighbors who share your vision of community, close to everything the Scottsdale Waterfront and adjacent areas offer. With just seven homes available for purchase, the chance to be part of this unique community may not last long. FINER DETAILS Lasting Quality: Superior-grade construction materials will be used inside and out. Cook's Kitchen: Our Island Kitchens Design offers Modernist Dacor appliances and generous countertop space; adjacent glass wall opens onto one of two covered patios. 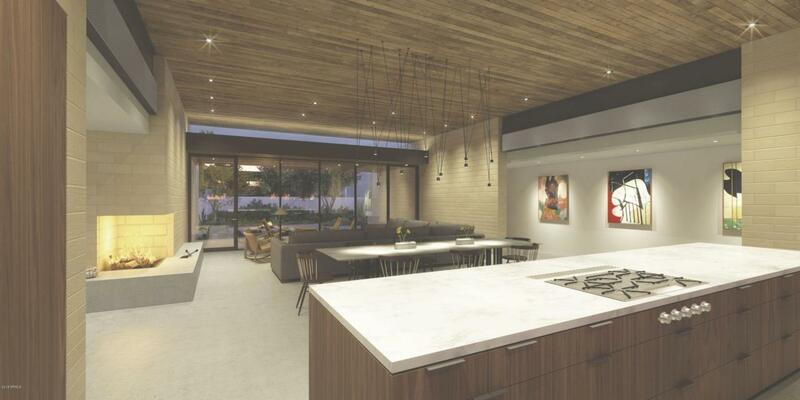 A Natural Setting: Interior and exterior use of masonry creates naturally insulated walls, and polished concrete floors enhance the homes' energy efficiency. Amenities: Our gated community commons features a lap pool and covered gathering area. Easy of Living: All homes are designed for "lock and leave" security and convenience and ease of maintenance. Perfect Scale: Palo Verde Lane comprises just seven single family detached homes with generous open space. Right Sized: Six homes are approximately 3,240+/- square feet, with three bedrooms plus a den/study. Custom Opportunity: One home is approximately 4,000+/- square feet, with complete floor plan flexibility. Space and Light: The great room offers a 40' unobstructed view from kitchen to patio, all with over-height, 12-foot ceilings. A Special Place: Each home is precisely situated on its parcel to maximize sight lines, privacy and visual appeal. Quality Construction by La Casa Builders. Architectural Design by Studio:ROEDER. Final taxes not assessed. Developer writes contract. One-time close financing available O.A.C. All sales subject to buyer's approval of ADRE Public Report. Renderings are artful interpretations of built environment. Subject to errors, omissions, reasonable substitution or change. To Be Built. One spec under construction, available for sale as listed, completion 2019. Options available. HARD HAT AREA! AGENTS MUST ACCOMPANY TO SITE. CALL LISTING AGENTS FOR ALL THE GREAT DETAILS!